An opportunity to see some more of the images from our recent Leigh Hobbs visit. The book signing at the end of the day was particularly popular, with many copies of the Mr Chicken books being snapped up! 1. Opportunity for parents to work alongside school staff to further develop the school and the progress of the children. o There has been some attendance at these. Parents had requested access to the school nurse, but there are still spare times as the drop in sessions haven’t been full so far. o The changes to the curriculum mean that we should offer a ‘Broadford Curriculum’ to run alongside the ‘National Curriculum’. 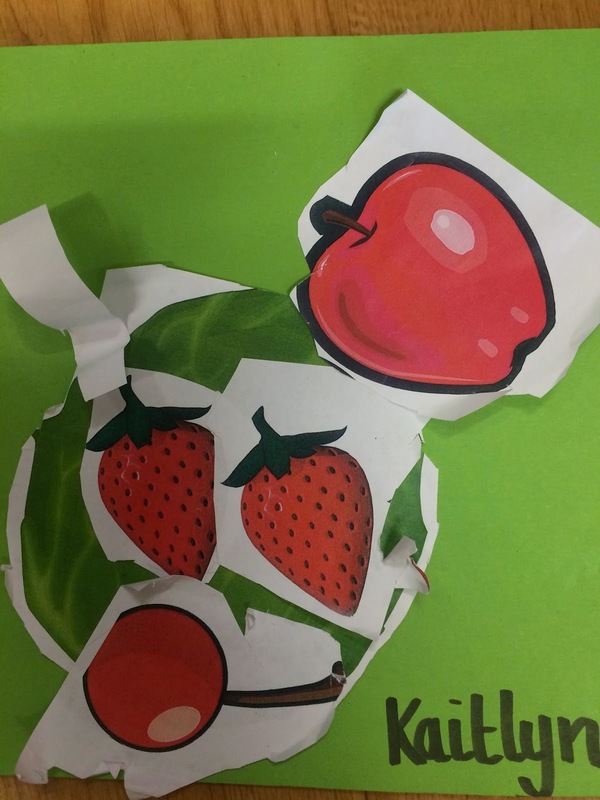 § Learning Challenge ideas – feedback from parents was that this was a useful way of extending the children at home. 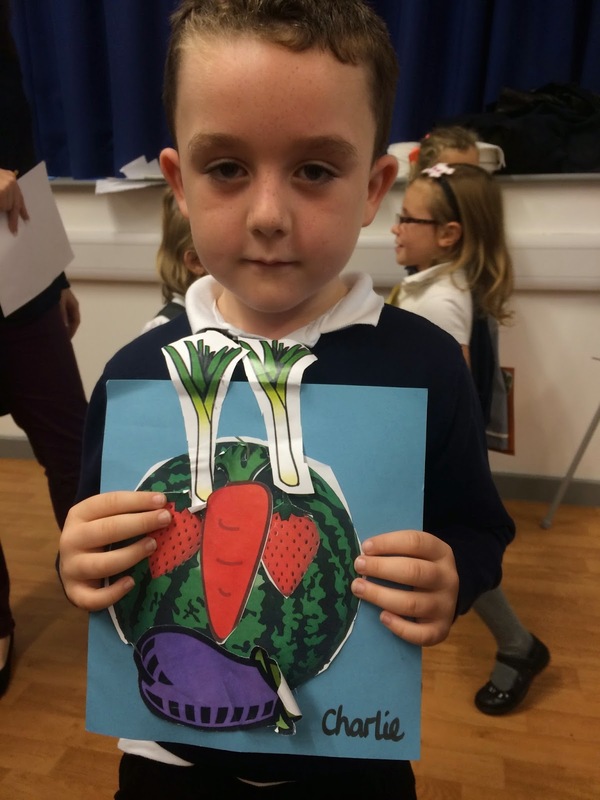 · We explained that we believe that our school should provide a wide range of experiences for the children as many do not get sufficient enrichment at home. 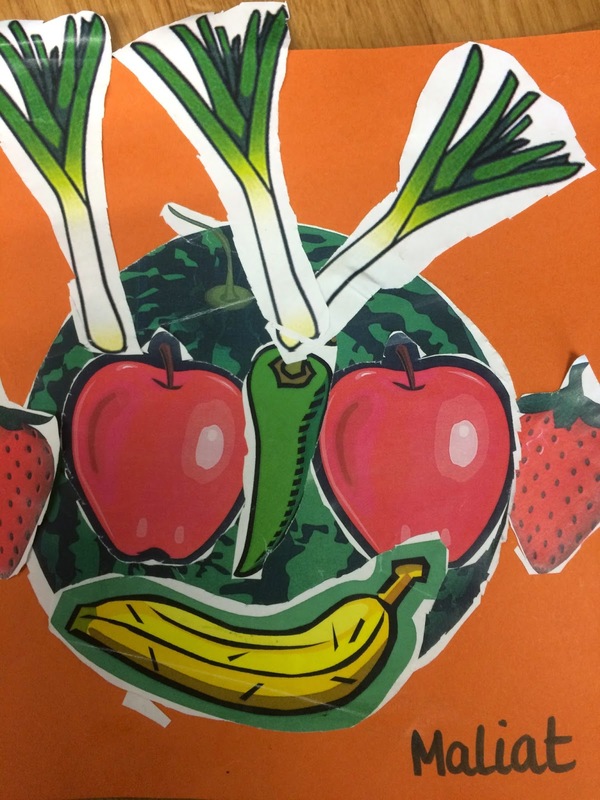 o Year 6 pupils an opportunity to work with Contender Charlie (for leadership based on Shakespeare: a group specialising in bringing Shakespeare to life within a school environment and guiding young pupils in the exploration of their emotional development and creative potential. § Maths Party Days – dates for these would be published on the newsletter. The first is Palm on Friday 7th Nov @ 9am. This is a chance for parents to come and have a go at the Times Table Rockstars and experience what the pupils have to tackle each day. o Numbers of FSM in each Year group – this data shows that there are some Year groups where there are parents eligible but they aren’t claiming. o What you can benefit from? Any other ideas from parents that would encourage participation? § Parents raised concerns that the quality of the uniform has declined. Could the school look into it with the supplier and try other ways of getting the uniform? o Can Mr Drakes ensure that he finishes briefing by 8.30am on Fridays? o Water bottles - when are they being washed? Are the right lids going back to the right bottles? 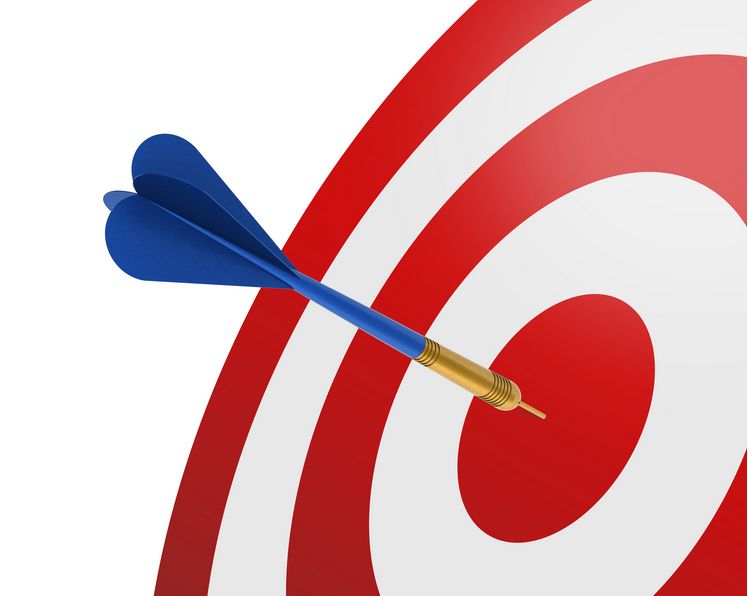 Employment & Training Opportunities: Your Views! 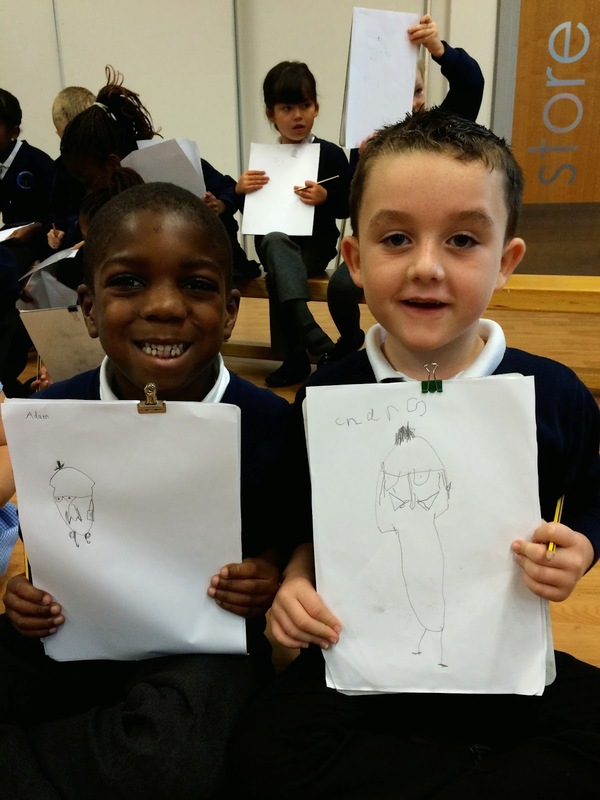 what involvement/support may you already have had from your local school? do you know what the pathways are to get into work or training? what feedback do you have about the opportunities for employment/training on the Hill? what would you like to be improved about support for those in post 16 education and the links to apprenticeships and further training? what are the key problems/barriers people from this area present with in terms of their ability to move into paid work? What's missing from provision to support parents/residents into work? Is there a perceived value in it? What would be the impact on children's education? If you are able to share your views with us then please see Mr Drakes on the gate or speak to Mrs Taylor in the office, or email us with your thoughts, questions and suggestions. 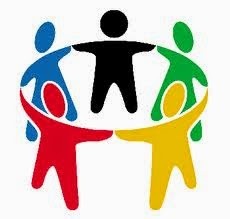 Following the meeting we will provide feedback to the Parent Council and let you know what further information is available through the blog. Elina Joshi has now moved from Bronze to Silver. Well done to Lebohang Sibanda and Waris Naweed who have finished their Silver. Ella Nash has collected enough Golden merits to claim her bookmark. 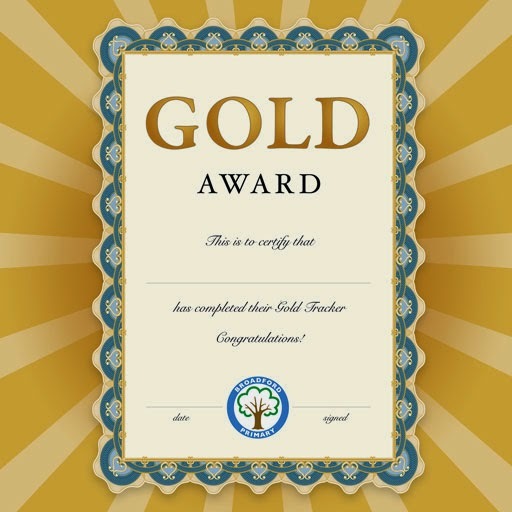 Ella Nash & Ethan Borrell have now completed their Gold Trackers. Kirsty White & Nathan Owsley have earned their Platinum pencil and pen set. 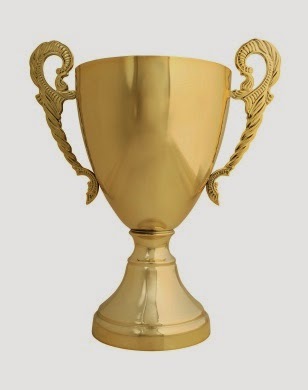 Well done to all of you! 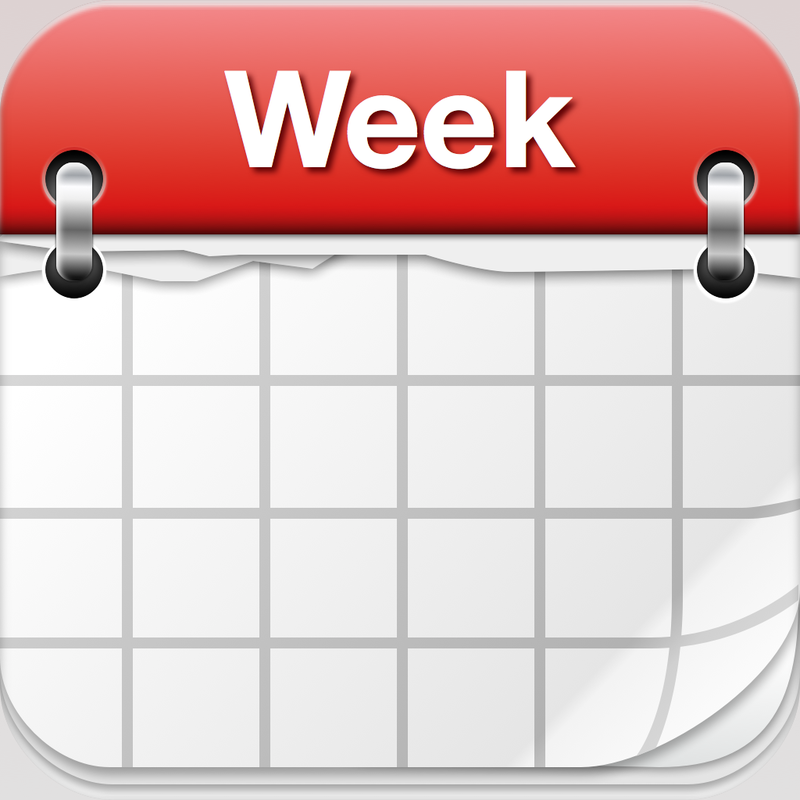 This was a really good week for attendance. We expect to be writing out a whole pile of 100% certificates for the first half term of the school year! Carlo Ancelotti most successful Champions League Manager. He won it twice as manager of AC Milan and with Real Madrid. He had also won it twice as a player. The Japanese Spider Crab is known in Japan as Takaashigani which literally means “tall-footed crab”! Ledley King – the ex Spurs defender – scored a goal in just 9.9 seconds in a game against Bradford City. 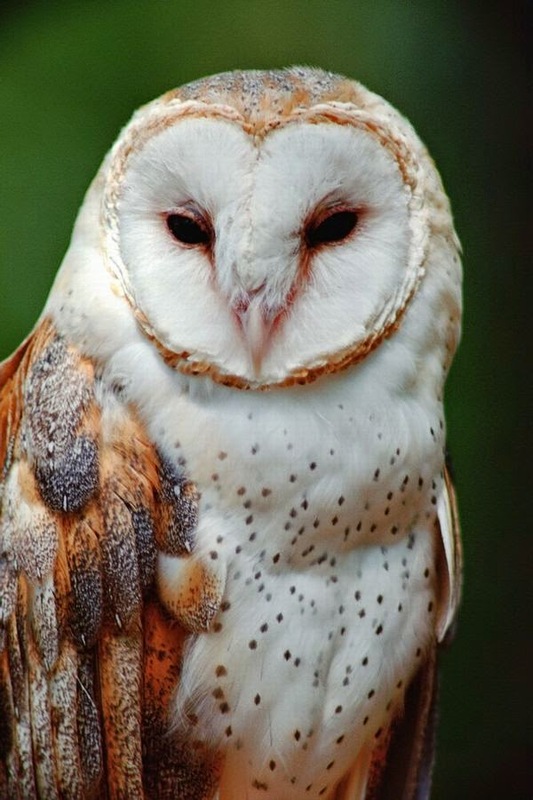 Barn owls have well designed wings to help them hunt. All of the wing feathers have a soft, downy surface, which eliminates the noise of them rubbing together. To begin with I was an illustrator for other authors. However I got tired of being bossed around and told what to draw. I had some ideas for my own characters and decided I would like to start writing my own stories. Who is you favourite character? My personal favourite is Old Tom. He looks like a cat, but I like to think of him as a 7 year old boy. His owner thinks of him as her son. Whatever mischief he gets into, she still loves him and wants to give him a cuddle afterwards! 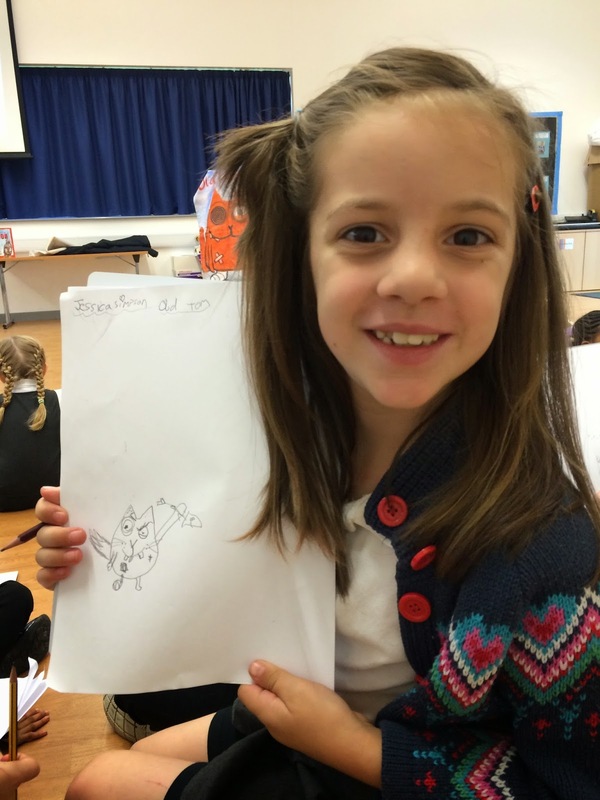 What tips would you give the children at Broadford? Don't try to copy other people's drawings and worry that yours isn't good enough. You need to develop your own characters. Take the time to practice and try lots of different story ideas. The more ideas you try, the more likely it is you will find one you really like. 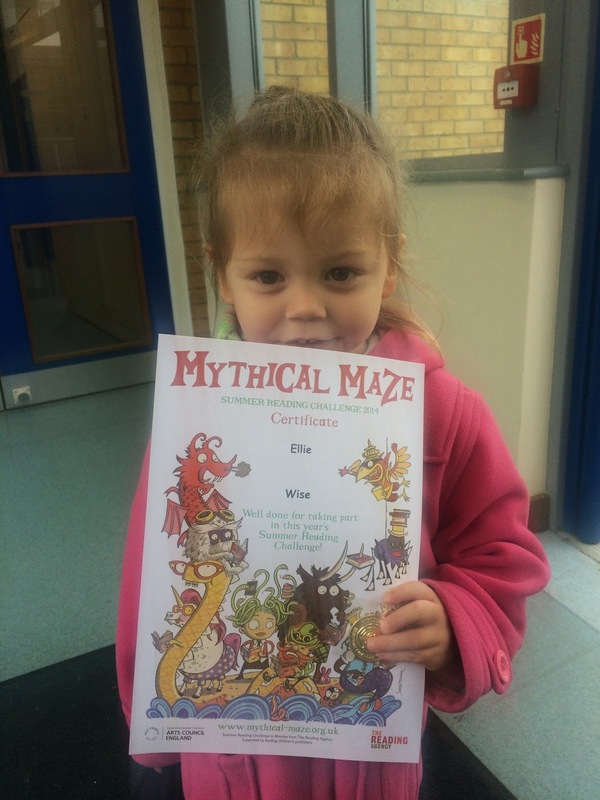 Congratulations to Evie who was very early with her Halloween preparations. 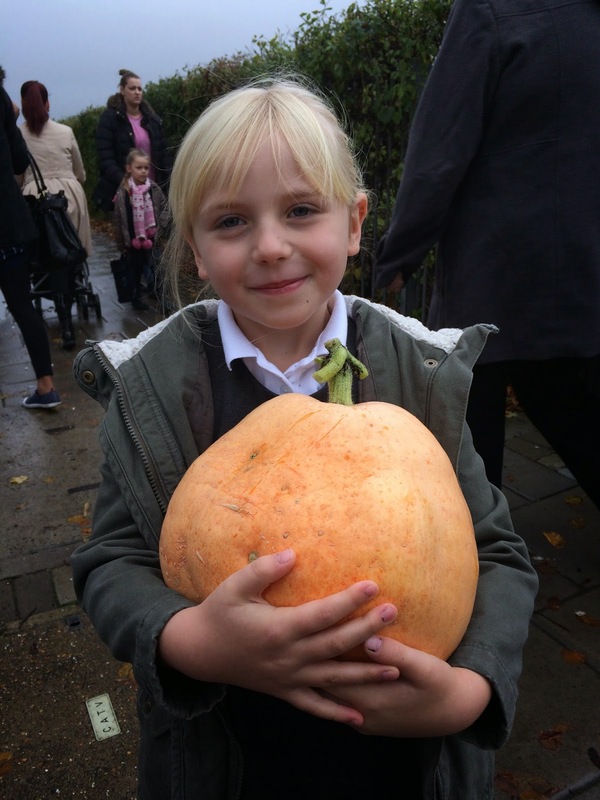 In her back garden she managed to grow a stunning pumpkin... and had the strength to carry it into school! With green fingers like that you could easily be an advisor for the Gardening Club! We look forward to hearing about the pumpkin pie and soup that you manage to turn this into. 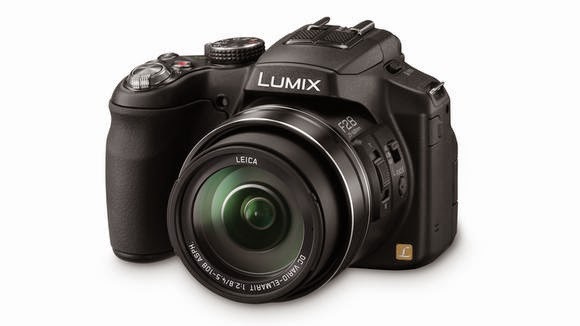 On Monday 3rd we have the photographer in school for individual pictures. Tuesday 4th sees our artists take a trip with Mrs Caccavale to the ‘Art of the Brick’ Exhibit in London. Wednesday 5th sees the EYFS entertained by the Freshwater Theatre Company. Year 6 are off to the cinema on Thursday to see ‘All is Lost’ as part of the Into Film Festival 2014. 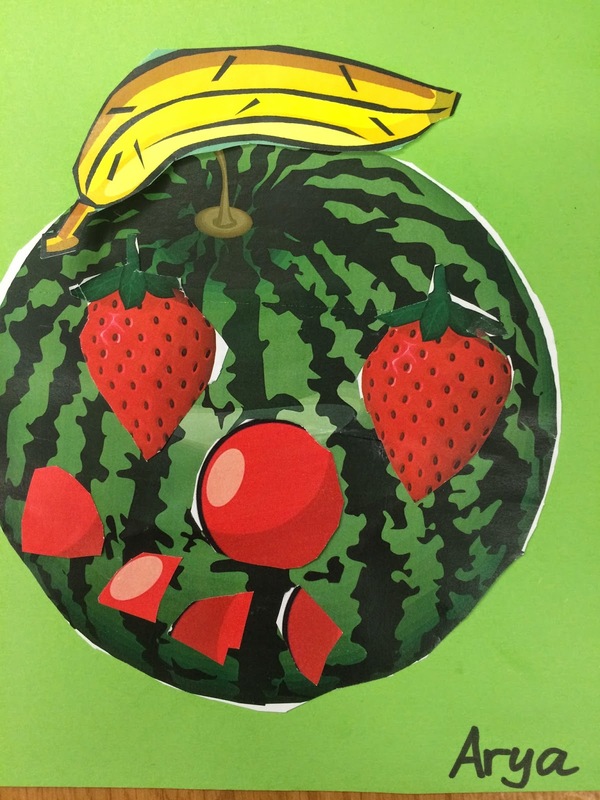 On Friday we have the Palm Maths Party (at 9am) – a chance for you to come and see Rockstar Times Tables in action and find out how you can help to support your child at home with maths. There will be similar opportunities for all the other classes during the rest of the half term. On Wednesday 5th we have Palm’s sharing assembly. We look forward to seeing you there to share what they have been learning about this term. We have the Friends of Broadford Christmas Bazaar on Saturday November 22nd 12pm – 3pm. The date printed in the newsletter was incorrect! If you would like a stall at the event please contact Mark Borrell (Chair) or Nicky Wheal (Vice Chair) email address: fobroadford@gmail.com. The FoB would also be very grateful for any volunteers who could help to run the event and support on the day. Again, please use the details above to get in touch with the team directly. We are very much looking forward to this event and hope to see as many parents, pupils and families there as possible. Please make sure that you get that all important holiday hair cut in time for the photographs on the first day back. This will be the chance for those mantelpiece presents for Nanny & Grandad! Group sibling photographs will also be available – contact the office for more details or check the letter. Nightingale excrement, collected from the Japanese island of Kyushu, is being hailed as the hottest beauty wonder product because it leaves skin with a healthy shine as it acts as an exfoliant. Did you know that the moat -- a large ditch or trench surrounding the outer castle wall -- was a castle's first line of defense? The moat could be filled with water or dry. Many moats were also dump sites for garbage and sewage. Did you know that approximately every 20 seconds, a child dies because they lack access to clean water and sanitation? Our school council have proposed another fundraising drive for Brandina – the orphan girl who we sponsor. It is hard to follow last year’s Ugandan flag day. 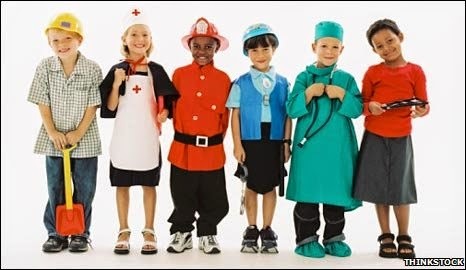 However the children have suggested the idea of coming to school dressed as people who help us, doctors, nurses, fire fighters etc. The non-uniform/dressing up day will be Thursday 23rd October 2014. If you could bring in a 50p donation that would be much appreciated. 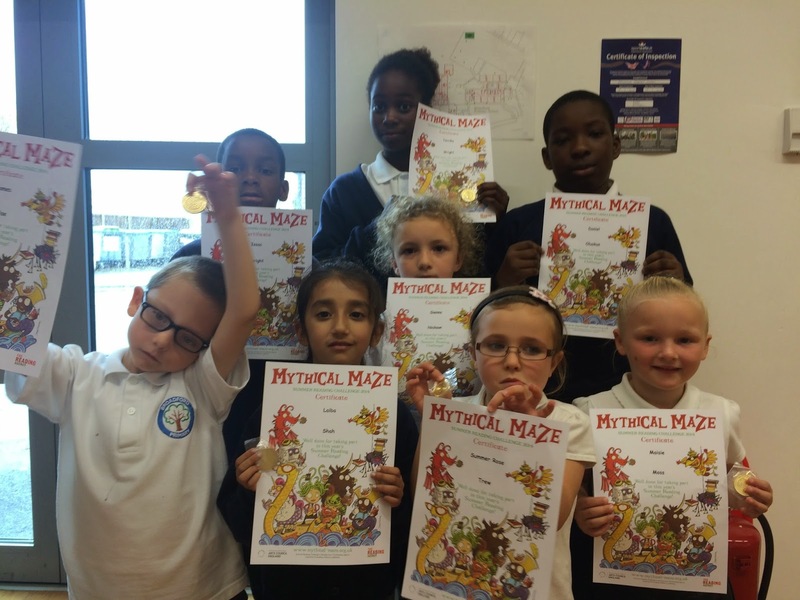 Congratulations to our super readers who have completed the Mythical Maze challenge. Every summer the libraries organise a reading promotion - and this one was extremely popular. 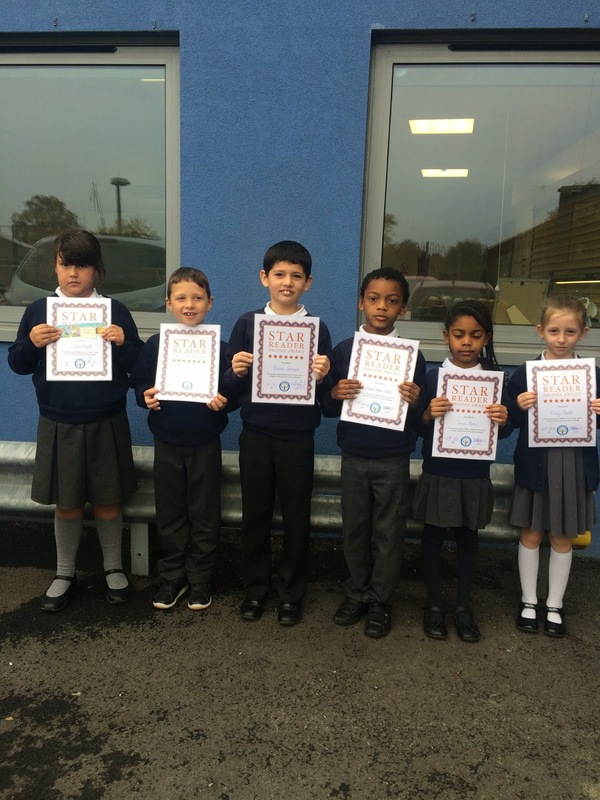 As a reward for reading their six books and providing a commentary, the children received a certificate and a reading medal. As a further incentive, we offered the children the chance to earn £20 each for every reader who completed the 6 book activity. Sixteen pupils have managed to collect their medal, which means the new School Council will have £320 to spend on playground games. Secondary Transfer: Do you have a pupil starting Year 7 in 2015? Have you completed an on-line application for your child to transfer to secondary school in September 2015? If not you should apply online now, and no later than 31 October 2014 otherwise your application will be late which could result in you not being offered a school of your preference. 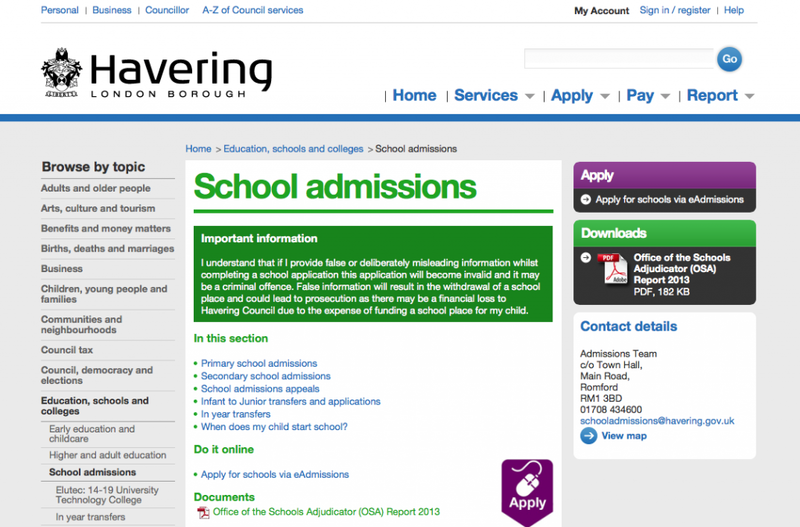 You can apply via www.havering.gov.uk/eadmissions. Even if your child has a brother or sister that attends the school you will still need to apply for a place. For more information please contact the School Admissions Team on 01708 434600 or visit us in the Public Advice & Service Centre (PASC) based in the Liberty Shopping Centre, Romford on a Monday, Wednesday or Friday morning (09:30 – 12:30). Last week pupils experienced an African Dance workshop as part of the learning based around Black History & Culture. With the help of our dance expert, the pupils learnt that African dance refers mainly to the dance of Sub-Saharan Africa. Dances are often used to celebrate festivals and funerals, competing, recite history, proverbs and poetry and to encounter gods. One clear lesson that we all learnt - Mr Drakes included - was that African dances are largely participatory, with spectators being part of the performance. With the exception of some spiritual, religious or initiation dances, there are normally no barriers between dancers and onlookers. If you are in the hall as the workshop is going on, you will be taking part! See if you can spot Mrs Taylor and Mrs Clements joining in with the moves. Watch the blog for more information! 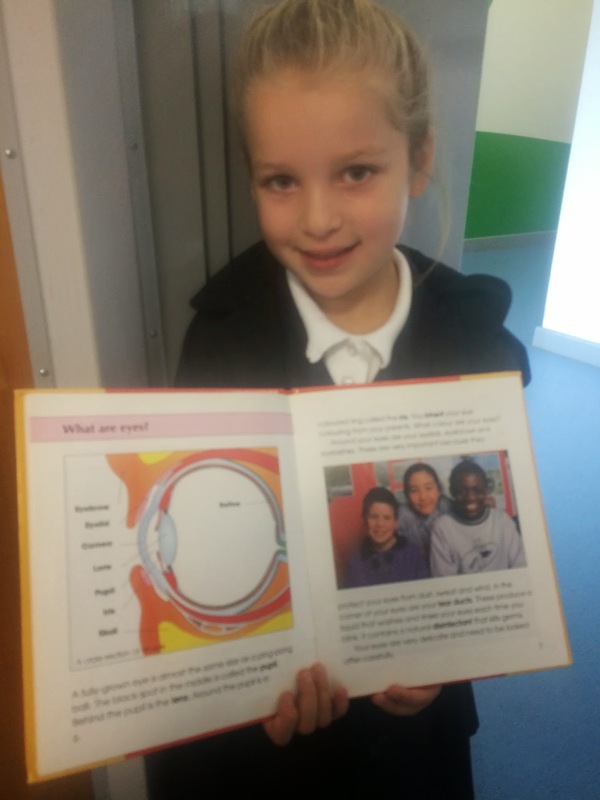 Paige was able to borrow a book on the Human Body from a relative and was fascinated with the workings of the eye. She was able to tell us that the images we see are upside down, but our brain manages to turn the image up the right way. Do you know what the job of the retina is? Which part of the eye does light enter through? How are your eyes able to move around? All of these are now questions which Paige could have a go at answering. Good research Paige! 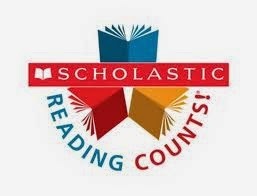 Books will be on sale from Scholastic after school, outside the year 1 classrooms on Tuesday 21st October and Wednesday 22nd October. That is today and tomorrow. Come and buy a book to keep your reading skills up to date over the half term break. These are the key skills that our children will need to learn effectively in class and be successful later in life. Fabian Cacaj, Haliya Gbadamosi, Grace Gore, Libby Northwood, Ramone Holme-Slater, Sky Griffiths, and Coral Wilkinson have shown great resilience this week. They all persevered when their work became challenging. Zaynab Abidin, Brooke Atkinson, Sienna Nickson, Emily Johnson, Grace Moody, and Lily Jones have demonstrated effective reciprocity this week – able to listen carefully, work collaboratively and take turns. Did you know that wedding rings were used in Ancient Rome? At the ceremony the groom presented a ring to his bride. Most rings were made of iron, which led to the tradition of metal wedding rings. Did you know that the Spinosaurus lived around 100 million years ago in what is now North Africa. The name Spinosaurus means ‘spine lizard’. Fossils of the Spinosaurus were first found in Egypt around 1910. At one time, over 365 different varieties of cider apples were grown. On Monday we have a steel pan band coming to entertain the children as part of our month celebrating black culture and history. Our KS1 Spinebreakers are also off to visit Waterstones and choose some books for the library. On the 23rd October we have a story telling day for the children and there is a football match against St Ursula’s. A reminder that we will be closed on Friday 24th October for INSET. School reopens for the children on Monday 3rd November. On Wednesday 22nd we have the first choir and dance performances of the new academic year. The children have not had long to rehearse, but it is always a great show. We look forward to seeing you there. Well done to Molly Wheal, who has worked really hard to produce work that has been presented to a high standard. Teni Adu has been awarded the Maths Challenge certificate this week for her efforts with the latest puzzle. Don’t forget to put your full name on the slip when you have and go. Check the blog for the next challenge! Elisa Rina has completed a great project at home. Well done for the effort in extending your learning! 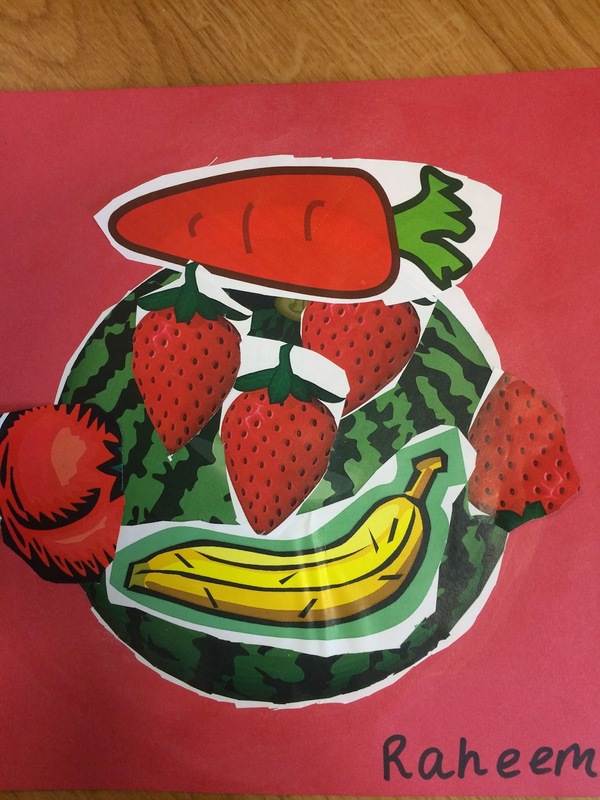 These children have produced excellent pieces of writing this week which have made use of some powerful vocabulary: Zaynab Abidin, Matthew Leadbitter, Finley Livingstone, Lacey Wall, Deborah Mushonga, Naleli Sibanda, Charlie Marshall, Oliver Hatwell & Sandra Diaz. Look out on the blog for more examples of their writing! Have you ever wondered how illustrators draw their characters? Are you curious how they manage to get them looking so uniform? Do they use some simple steps to ensure consistency? 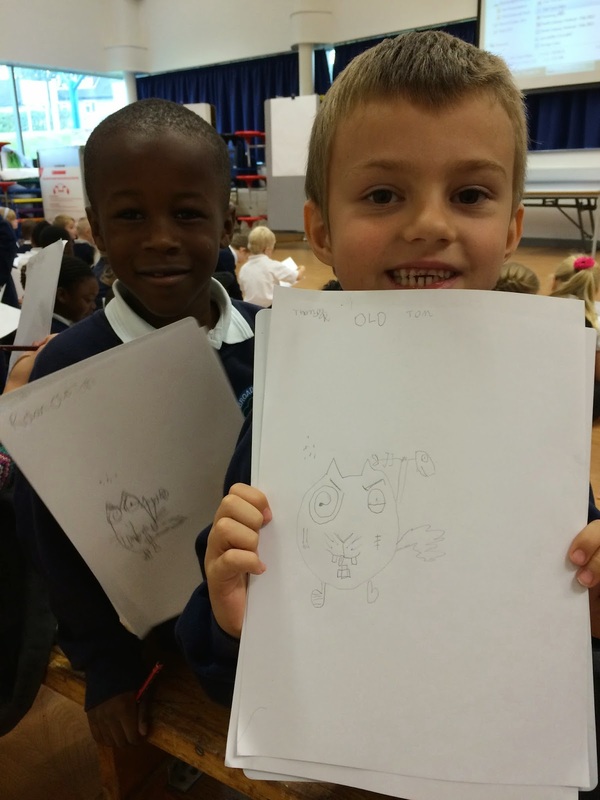 Have a look at the tips Leigh Hobbs gave or pupils... and see the results! 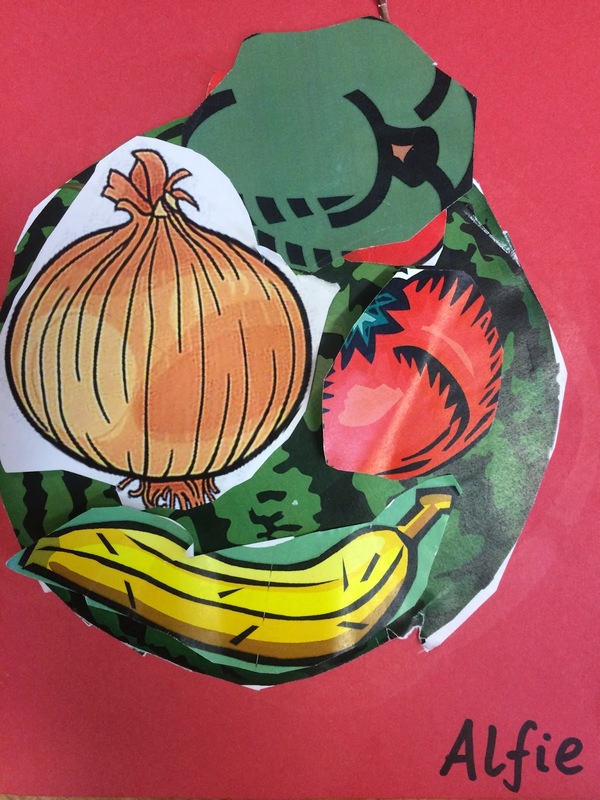 In Year 1 the pupils have been experiencing the work of Giuseppe Arcimboldo (also spelled Arcimboldi; 1527 - July 11, 1593) as part of their Learning Challenge. He was an Italian painter best known for creating imaginative portrait heads made entirely of such objects as fruits, vegetables, flowers, fish, and books. 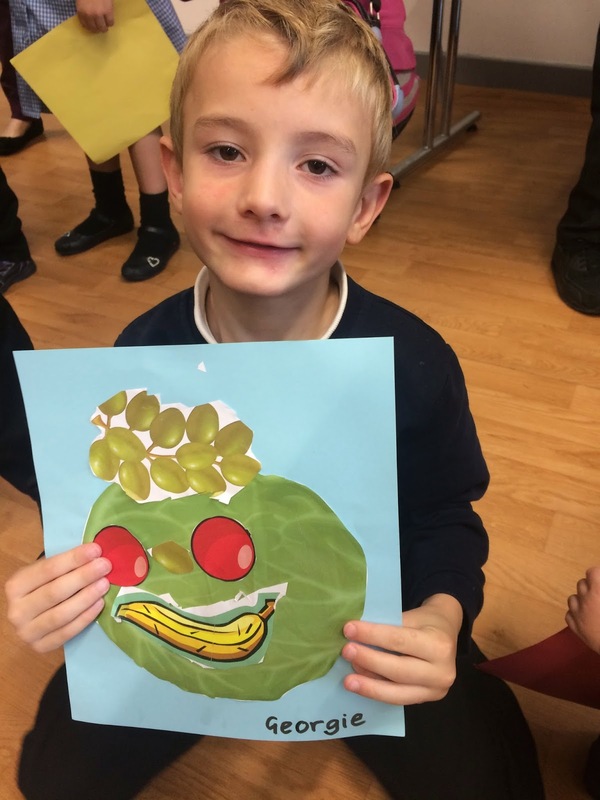 In Pine & Mulberry the children have had a go at creating their own pictures using fruit and vegetables. Can you spot the faces? Parents Evening: What could you ask?